As technology advances and people accept constant connectivity as a way of life, homes are becoming a thing of the future. 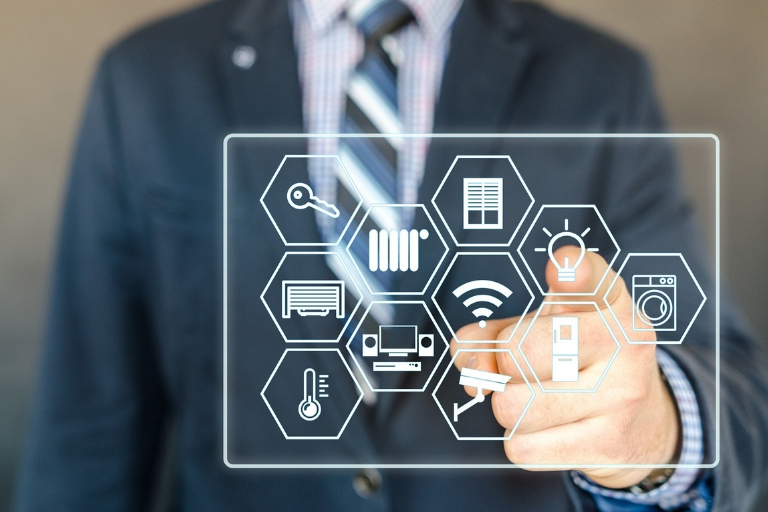 Almost any system or function in a home can now be automated and accessed and controlled remotely; now we can control lights, appliances, climate, entertainment systems, and security systems from our smartphones. Decidedly, there are both advantages and disadvantages to the ever-increasing automation options. On the plus side, there are real benefits to being able to see what’s going on inside your home while you’re at work. On the flip side, technology can be exasperating in the moments when it doesn’t work right. 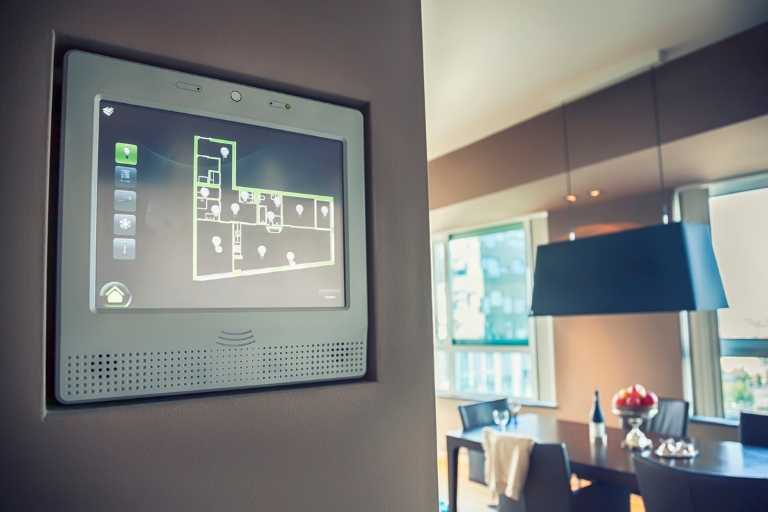 Winthorpe can build a home with as few or as many smart home features as our clients desire. From something as simple as a doorbell with a camera embedded in it to the complexity of a fully-automated home, we have experience in helping our clients assess what options would best suit their needs and then implementing those choices in their home. Would you like to save on utilities by not running the heat as much while you’re at work, but still come home to a warm house? Smart thermostats, many of them integrated with other systems like smoke alarms, learn your patterns, can be programed, and can also be adjusted remotely. While you’re sleeping at night, venting skylights can automatically open to purge warm air and circulate fresh air in. Electric blinds, so useful for blocking intense sunsets or ensuring privacy, can be programmed to a schedule or operated from your tablet. Several types of remote-access door locks now exist, allowing you to unlock gates and doors from your smartphone. Do you want to open the garage remotely so your neighbor can return the mower they borrowed? You can! Would you like to turn off your alarm system and unlock the door when your child gets home from school, without leaving your office? Also possible. Whether you’re at work, on vacation, or even in your home, camera systems make it easy to see what’s happening in any room, at any time. Camera doorbells are helping homeowners catch thieves and can even pop up live video on your TV or phone when someone rings the bell. Parents can check in on their sleeping newborn with advanced baby monitors sporting cameras, microphones, speakers, and even biometric monitors to measure baby’s breathing. As much a creature comfort as a security feature, smart lighting has a lot to offer these days. From Bluetooth-enabled bulbs that can be color-matched to your mood to entire light systems you can turn on remotely when coming home after dark, there is a lot to choose from. Timers and switches for an entire house, indoor and out, can be controlled from a single tablet. Some refrigerators now come with barcode readers, so when you’re out of milk, it’s scanned and added to a shopping list on your phone. Coffee makers, ovens, and washing machines can be accessed and controlled remotely, so you can brew, bake, or clean without being home. Audiophiles delight in whole-house audio/video systems, where dad’s jazz can be heard in one area while the kiddos listen to rock-and-roll in the backyard, and mom can see who’s delivering a package, on the TV, without interrupting her TV show. If the volume is too loud, a simple swipe on a tablet or phone can turn it down or even turn off a few speakers. Hot tub and swimming pool temps can be monitored and adjusted, and automatic covers can be retracted at the touch of a button. If you like catching the news while getting ready for work, there are mirrors that double as televisions, perfect for your morning routine. When you’re in the car listening to music and want to know what that fantastic song is…….tap a button, your device will identify the song, and add it to your playlist so you can enjoy it again. And there is so much more. Most of these smart home systems are designed to integrate with one another, so your lights may be part of your security system, your blinds may be part of your climate control system, or your doorbell may be part of your audiovisual system. The combinations are endless and can lend so many advantages to a busy life. The excitement about the novelty of the newest automation device should be tempered by the reality that new technology can be buggy. Sometimes something just a bit more tried-and-true is a wiser choice than the latest version, as it’s likely to work better, have proven support, and cause you fewer headaches in the long run. One thing we help our clients take into consideration regarding smart homes, is their level of comfort with technology. If an app upgrade goes awry and interrupts the communication between functions in the house, could this person work it out themselves? Would they be frustrated by having to hire and wait for a service technician to come remedy the problem? 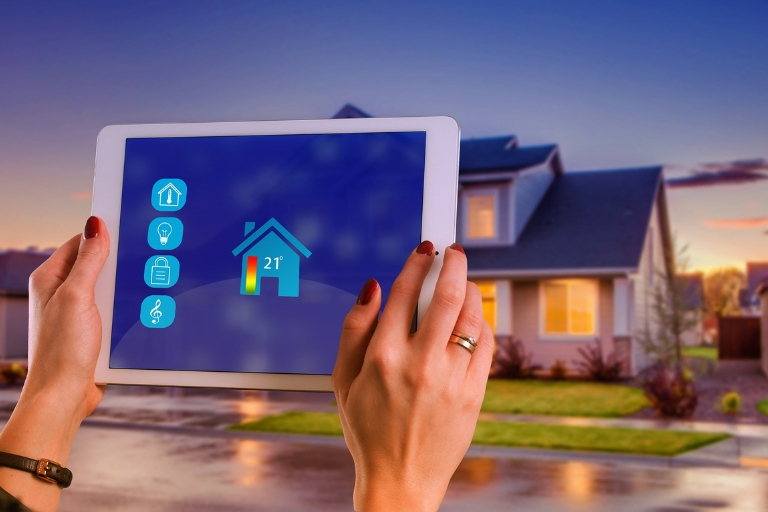 As technology races forward, will they be willing and able to upgrade their home’s smart systems to keep them relevant to one another? Do they need analog options in place, so if the power goes out, they can still lower the blinds by hand or set the alarm? Technology does require maintenance, and that’s an important factor to keep in mind when deciding what mix of smart features is right for you.